Who is Foundation for ? 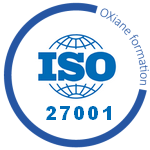 The fundamental requirements for an ISMS in ISO/IEC 27001 and the need for continual improvement. Use of controls to mitigate IS risks.